Let’s be honest. Most of us have no idea what daylight savings time is supposed to accomplish, other than offering one weekend in the fall when we feel very well rested, and one in the spring that gives the coffee industry a major boost. 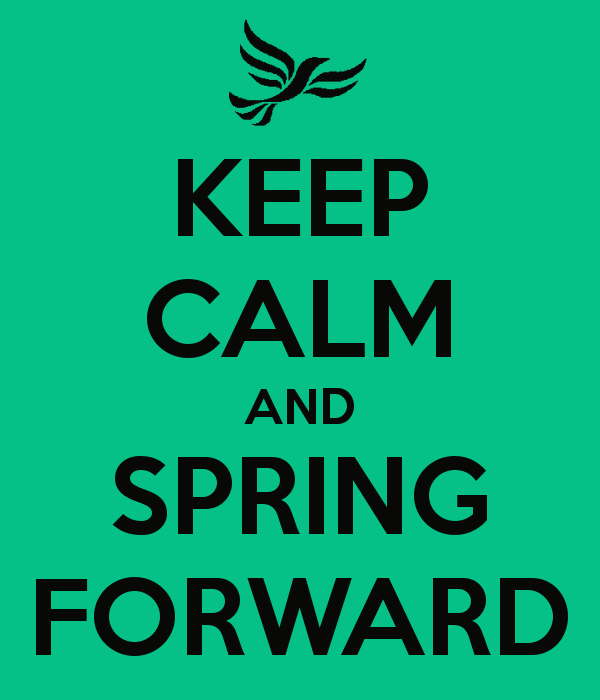 In contrast to the cherished “fall back” weekend, most of us are about as enthusiastic about “spring forward” as we are about our neighbor kid’s early morning bugle lessons. The concept of daylight savings can be credited to (or blamed on, depending on what time of year it is) Ben Franklin who in 1874 wrote about the economic costs of long and dark evenings. Therefore, two weekends a year we adjust the local clock time to maximize daylight during work hours. Fast forward to 2014. With an economy that is much less labor-based — and no shortage of light bulbs — the economic costs of early night-time are perhaps debatable. We do, however, have a much more clear picture of the economic cost of a sleep-deprived workforce — scientists at Harvard have estimated sleep deprivation may cost as much U.S. companies $63.2 billion in lost productivity per year. To put it bluntly, people are doing subpar work because they’re tired. And of course, that’s only in America. 70 other countries have daylight savings time too, and roughly 25% of the world population needs to adjust to a twice yearly change in the local clock. While it doesn’t seem like an hour difference should be that big of a deal, relatively minor external constraints on sleep can have a profound effect on daytime function. Generally speaking, the spring transition reduces self reported sleep time by 30-40 minutes on the night of the clock change. It may not sound like much, but it’s enough to cause a spike in the level of traffic accidents. It’s also enough to cause an immediate reduction in sleep efficiency, including more fragmented sleep, and increased time falling asleep. And it has been shown to affect people’s’ moods…for the worse. For most people, it takes about a week to adjust — for some it takes up to 2 weeks. At SleepRate, we want you to sleep better so that you can live better. We can’t do anything about daylight savings time — you’ll have to write your congressman about that. However, we can help you make the transition with minimum interruption to your sleep schedule. The following infographic offers a few tips to get through the time change with minimum sleep loss. Then, when you’re ready to make a serious improvement to your sleep, visit us at sleeprate.com. P.S. — we still love Ben Franklin. Other famous innovators who have wreaked havoc on our sleep include Thomas Edison and Steve Jobs…and we love them too.